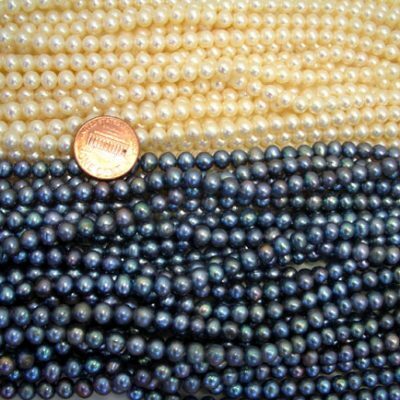 The pearls have very high luster in near round shapes, and without any surface markings or flaws. They are suitable for people who wants to make a nice piece of pearl jewelry when price is not a concern, even though the difference between this pearl strand and its lower priced pearl strand is negligible, especially to a laymen`s eye. If you would like to use jewelry for your everyday jewelry making needs, you can get them for much less. 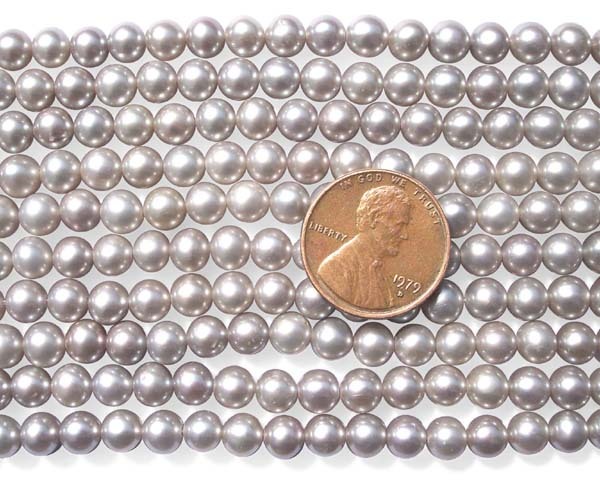 These are beautiful AA+ quality round shaped pearls at 5-6mm in sizes on a loose pearl strand at 15-15.5in long. 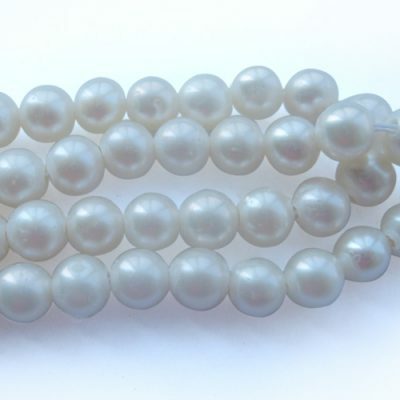 Each strand has an approximate weight of 19.2gram. There are approximately 72 pearls on a strand. 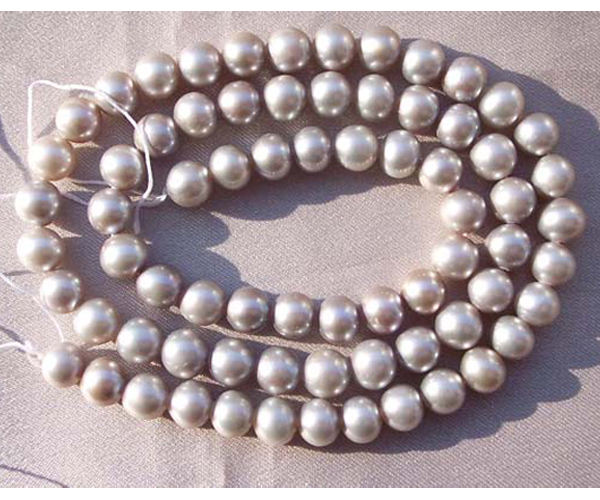 Only grey colored pearls are available for immediate delivery. 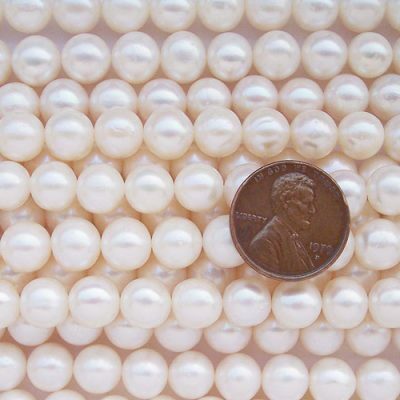 If you would like to have pearls at lower prices, you can use pearls in semi-round shape, which we call “potato / semi-round pearls” while roundness of the pearl is not important for your jewelry-making needs.